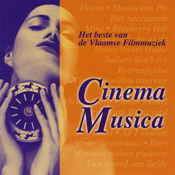 "Song for Lucy" is the main theme from the original soundtrack of the Belgian movie Just friends (1993), by film director Marc-Henri Wajnberg. Released in 1999. Compilation double CD (Universal 545 000-2). The complete soundtrack was originally released in 1993 on the Just Friends CD (AMC 50.047). See also some photos of Archie Shepp and the musicians.